today I would like to recommend Enhanced Cream Alpha Hydrox with 10% glycolic acid for everybody who like me suffers of acne, pimples or scars. The cream is advertised as an anti-wrinkle treatment but I use it for the scars. The same thing works for the wrinkles and the scars. I have tried many ointments and creams for the scars but so far this cream works the best. Like all products with a glycolic acid this cream will remove your dead cells from the skin's surface. You will notice that the skin peels a bit:). At the beginning your skin may sting, especially if you haven't ever used any product with glycolic acid. It also may cause skin redness and dryness. Remember to use a good moisturizer. Because products with glycolic acid increase skin's sensitivity to the sun I use it only during the spring and autumn months and I always remember about applying cream with minimum SPF 30. Results: day by day my skin looks better, smoother, the pores shrink. I have also noticed that when I use it I have less pimples and black heads. But what is the most important for me is that the spots heal much faster and they DON'T LEAVE THE SCARS! If you are not familiar with this type of products better if you start the treatment by using it at night and follow with moisturizer. 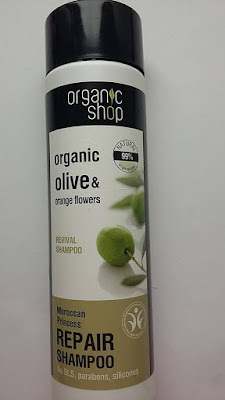 Also I think it is better to use this product sparingly. The next day apply moisturizer with minimum SPF 30 and soon you will have nicer looking, smoother face:). 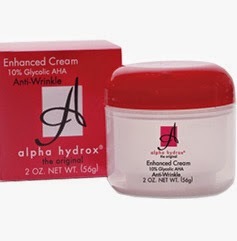 I highly recommend Alpha Hydrox, Enhanced Cream with 10% glycolic acid because it is cheap and lasts for long.